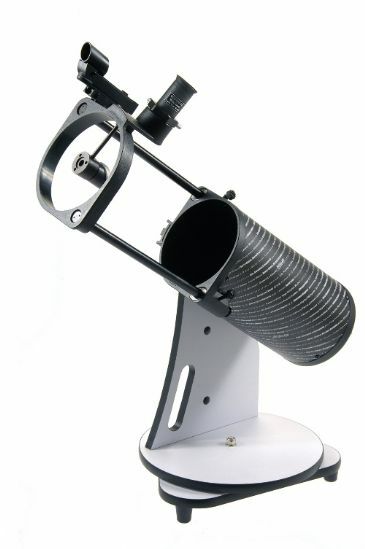 Most Children from around 8/9 years old and above will be able to use (with some help) any of the telescopes listed in our beginners section. The key is setting the scope up at a level where they can see through the eyepiece without the need to pull the scope towards them. If setting the tripod at its lowest level is not enough then rotating the star diagonal can sometimes bring the eyepiece into a position where children can easily see. The telescopes in this section are aimed at children from around the age of 5 and upwards. The Sky-Watcher Infinity suits the youngest and is very easy to move around. 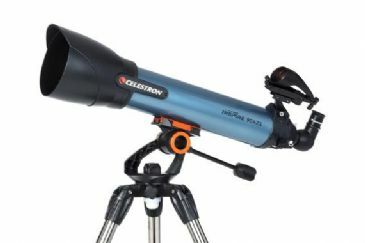 Although it is a 'Real Telescope' with glass mirrors it is a reasonably robust telescope and has been very popular with our own then 5 year old boy. The Heritage-76P and its larger brother the 100P iare suitable for children a little older and is more expandable thanks to their focusers that accept standard 1.25in eyepieces. Although similar in physical size to the Infinity, they looks less toy and more telescope like too! 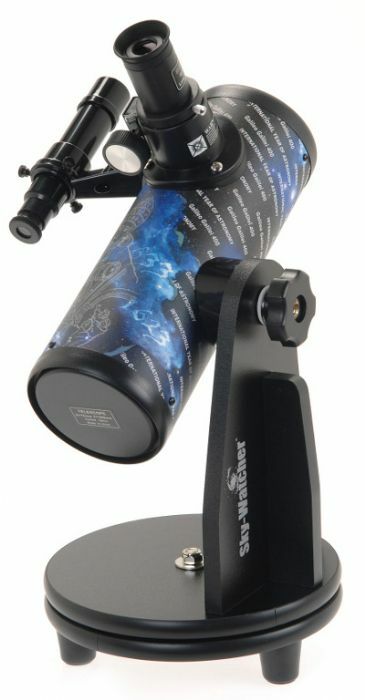 The next telescope in this section, the Sky-Watcher Heritage-130P is much bigger than the previous two. 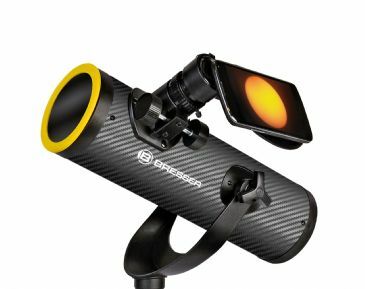 The optical tube is full sized but mounted on a tabletop mount. This means its easy to use by children when placed on the floor, but when on a suitable table can be comfortably used by adults too. 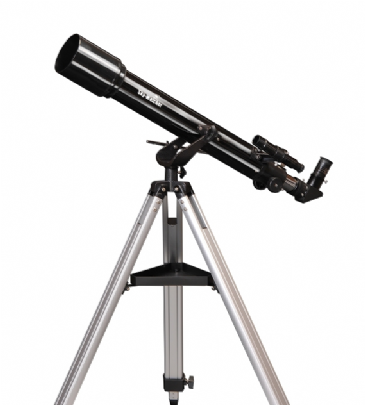 The Mercury-707, Astromaster, and Inspire are traditional refractor telescopes and perfect for great views of the the moon and the planets and can pick out brighter deep sky objects like the orion nebula and the Andromeda Galaxy. They have a more grown up feel to it and would suit children from around 7 years and upwards with a little help to get them started. 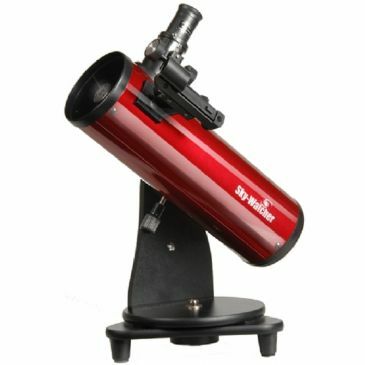 Finally the Skyliner 150P Dobsonian is a large telescope! but is included because of its simplicity of use. It has been our Son's (now aged 9) favourite scope for the last couple of years! We are aware that every child is different, so If you have any questions of would like you come and see and try a selection of telescopes first please do not hesitate to contact us or call into the showroom. 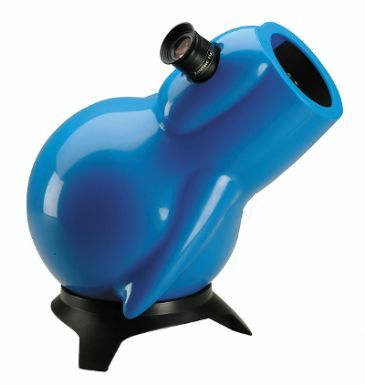 Why buy a toy telescope when you can buy a real one! 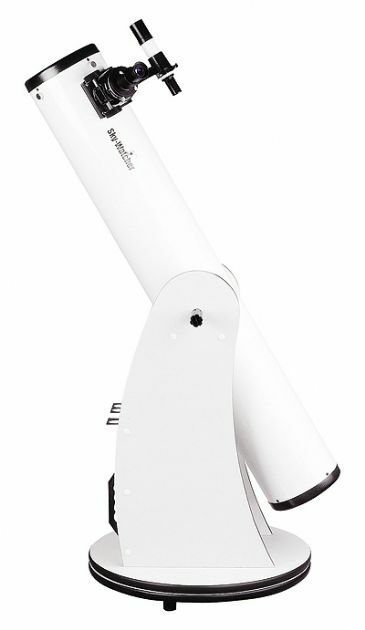 The Sky-Watcher Dobsonian Telescope in this bundle shares features from its bigger brothers but in a child friendly tabletop size.